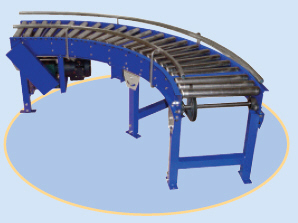 Medium duty powered roller conveyor for use with our belt driven model. Can be slave driven. 6” Tangent Standard.